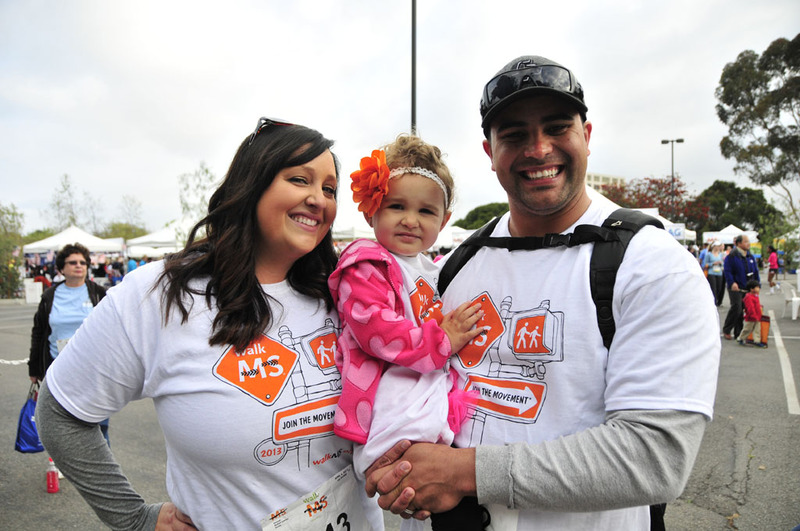 More than 7,000 people are expected to walk in San Diego on Saturday and Carlsbad on Sunday to raise over $1 million for the National Multiple Sclerosis Society. San Diego County Credit Union is sponsoring both events, as it has since 2002. Multiple sclerosis, or MS, is a neurological disease that affects some 50,000 people in San Diego, Orange and Imperial Counties. The first walk is at NTC Park in Liberty Station. Registration begins at 7 a.m. and the 3-mile walk along San Diego Bay starts at 8 a.m. There is no cost to be a walker at either event. Free snacks and beverages will be provided to walkers, plus live music. Walkers will have the opportunity to earn prizes, including t-shirts, movie tickets and gift cards, based on the amount of donations they collect. Walkers can register on site. Event information is available at www.MSWalk.com. MS, is an unpredictable, often disabling disease of the central nervous system that interrupts the flow of information within the brain and between the brain and body. An estimated 2.3 million people live with MS worldwide. “We are proud to participate in such inspirational Walk MS events that celebrate the power of a community coming together in a movement toward a world free of multiple sclerosis,” said Teresa Halleck, president/CEO of San Diego County Credit Union.